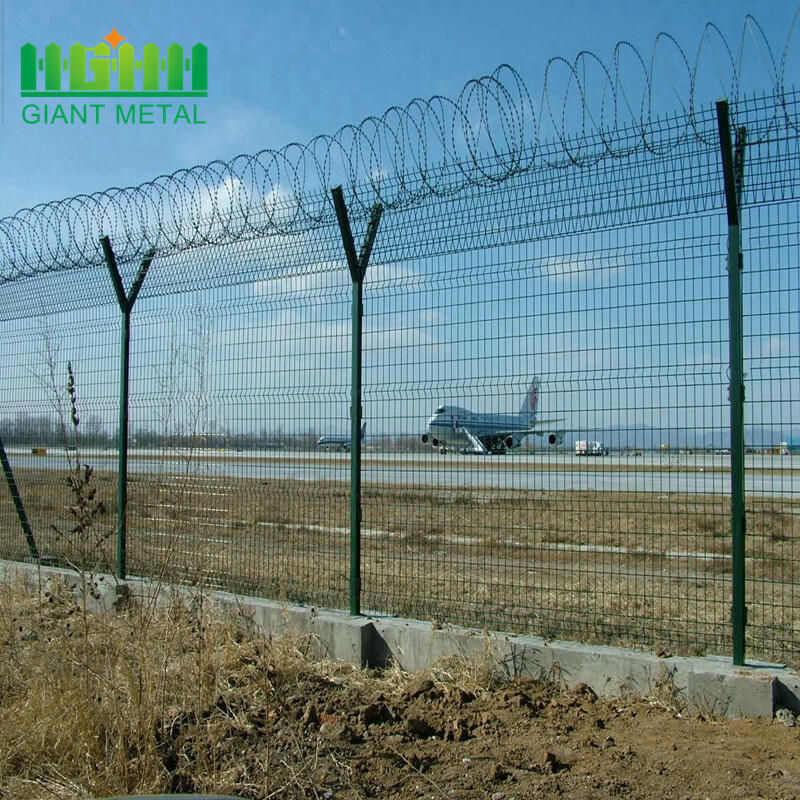 Airport fence is made with low carbon steel wire welded panel, post,barbed wire or razor wire accessories. 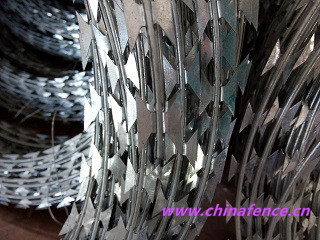 Based on the "V" shape top with razor wire, this system offers economically priced perimeter protection. 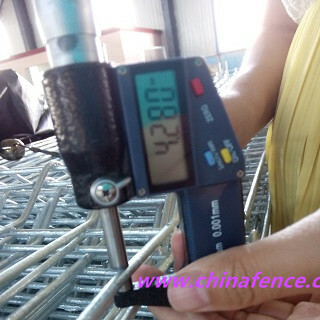 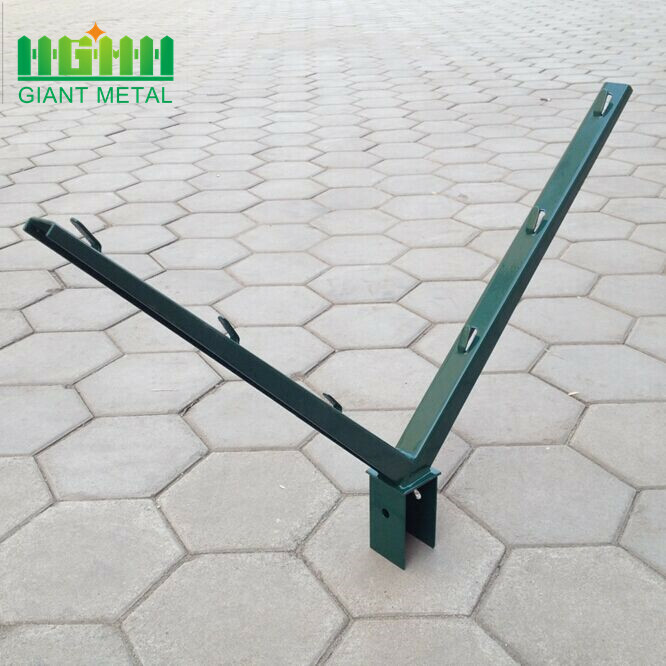 Due to the special design of the fence, this system is very hard to break, and more secure than the common wire mesh fence. 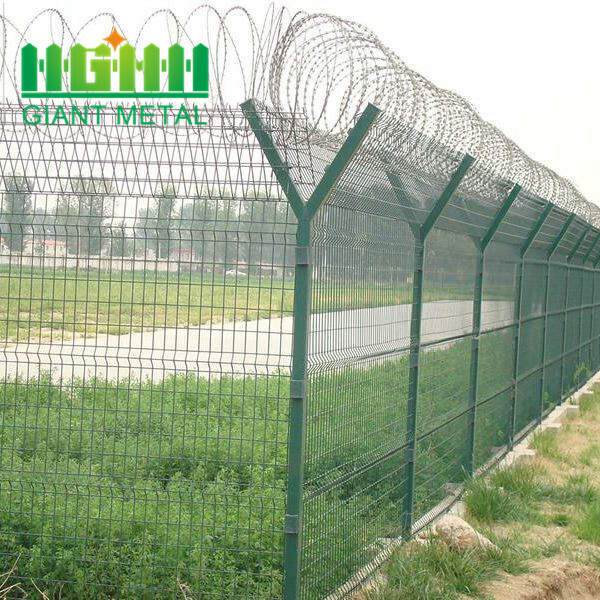 This product is providing highest perimeter security for an affordable price. 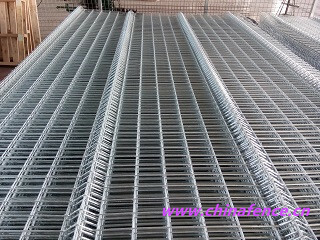 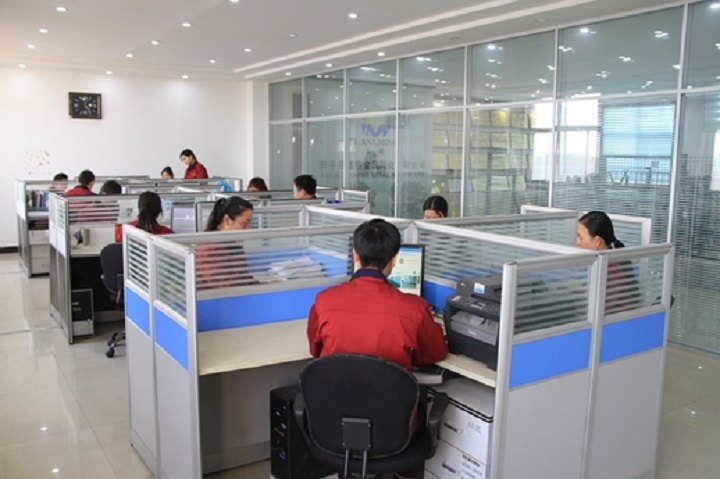 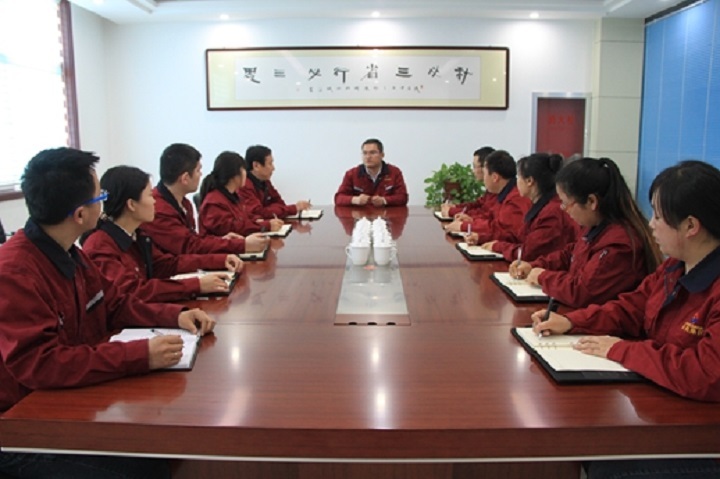 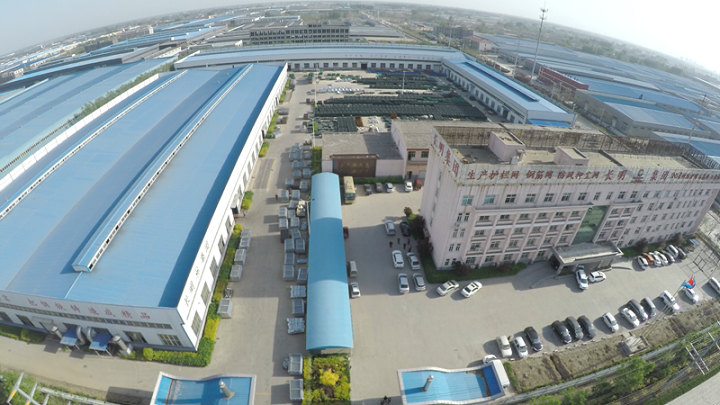 The surface of the product is electrogalvanized with high quality polyester powder after hot dip galvanizing. 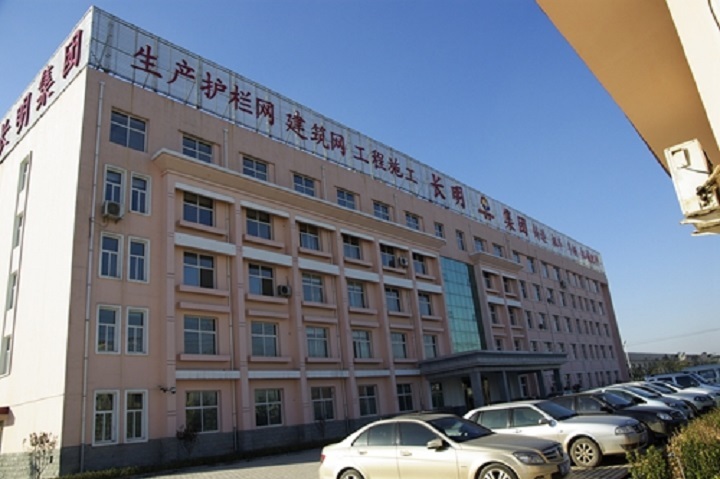 This treatment method can make the product better anti-corrosion, anti-aging, anti-sun and weather-resistant. 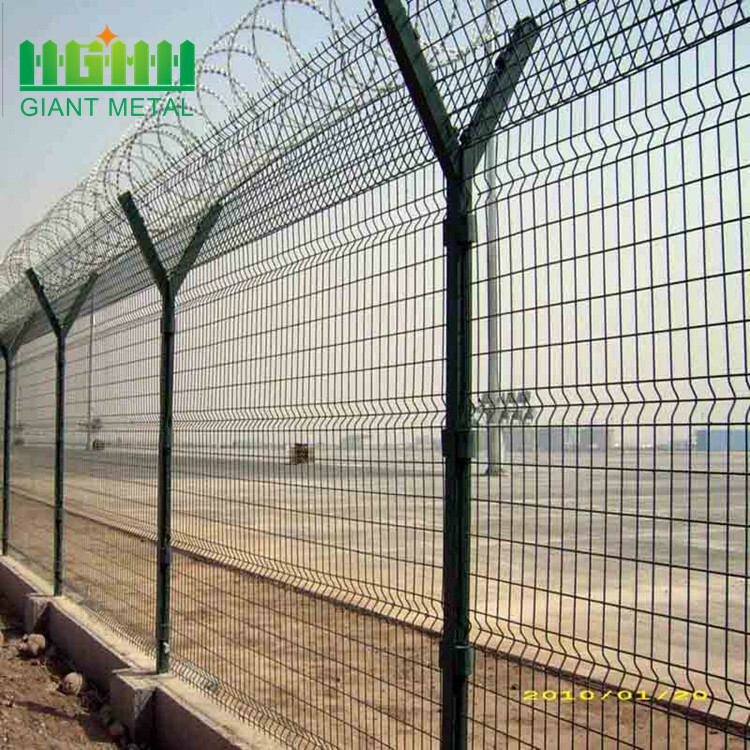 Airport Fence is the use of 5mm diameter high-strength low-carbon steel wire welded together, the mesh size is generally 50mm * 100mm, 50mm * 200mm and so on. 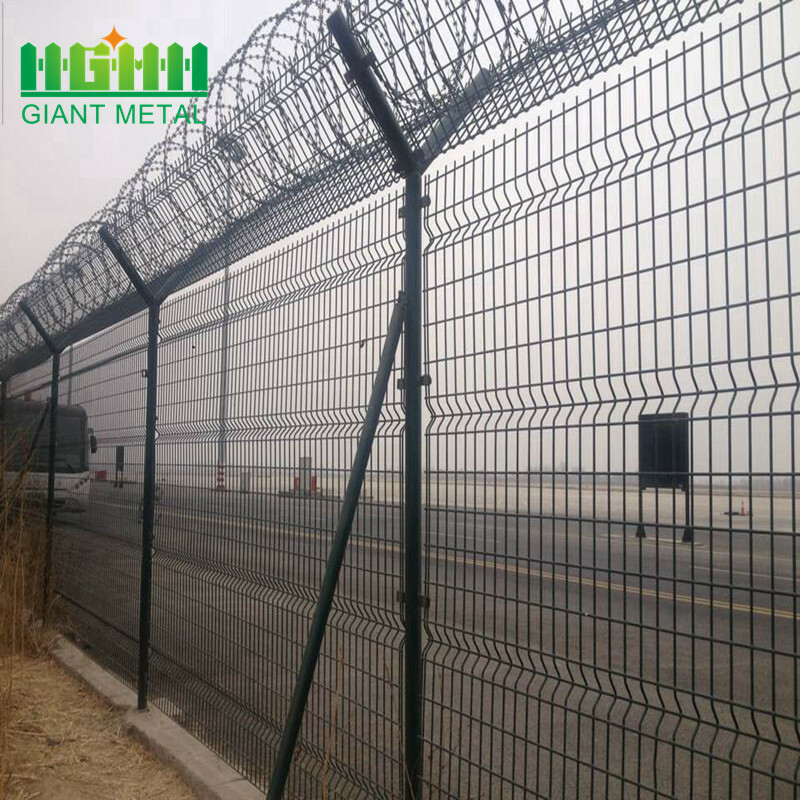 If the airport Fence mesh plus V-ribbed, it can increase the network's impact resistance. 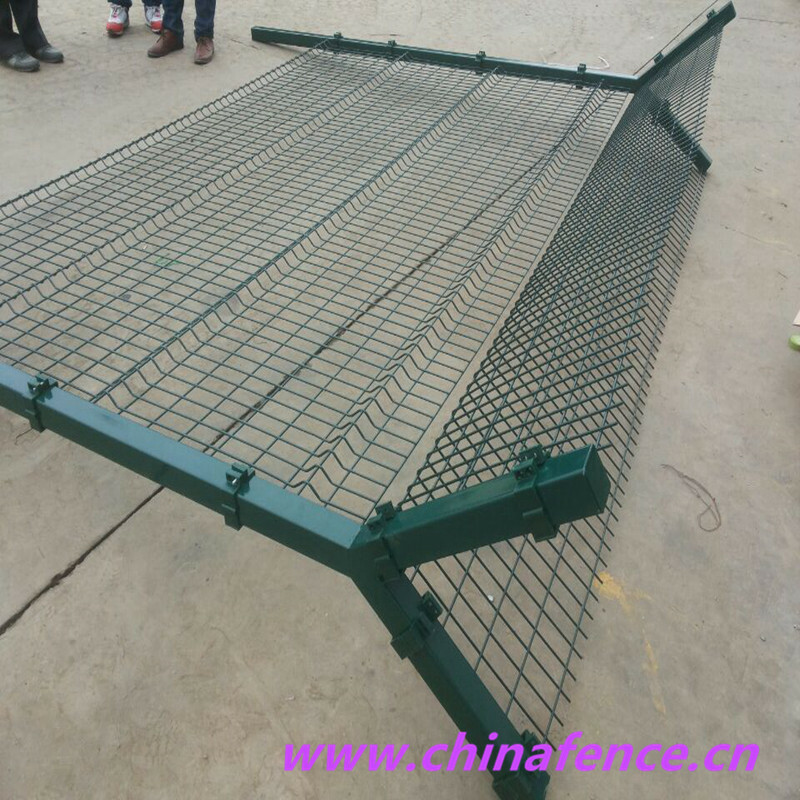 Airport Fence column using 60 * 60 rectangular steel column, welded to the top of the V-shaped bracket, used to support the top to be installed hot galvanized blade gill nets. 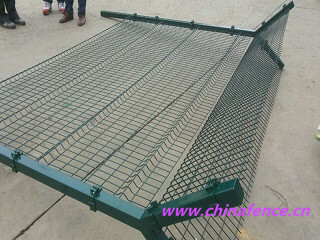 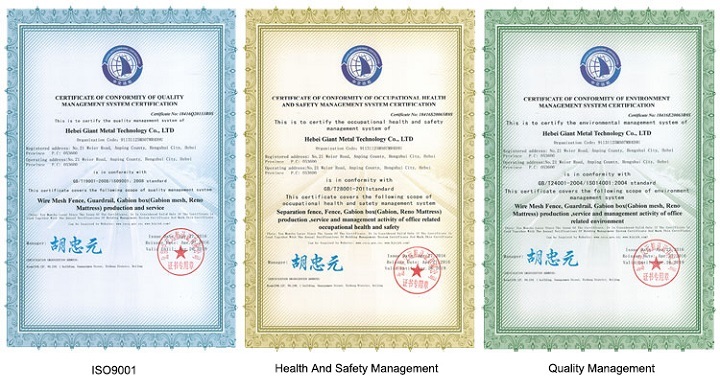 In the top of the product with blade gill nets can better increase the safety performance, better play a protective role. 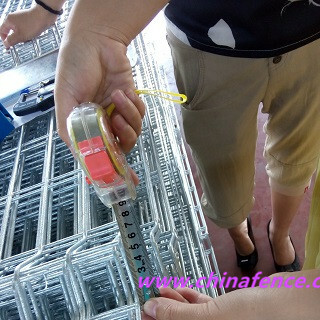 4.Clamps packed into carbon box. 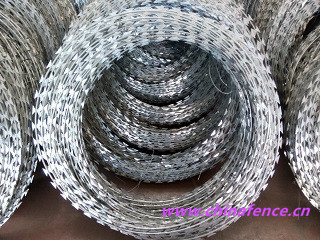 Any packing would be available for your require.